We rate this rumor a 9 out of 10 confidence level. We have strong corroborating evidence for most of these specifications, and at this point, feel extremely confident in the below information. That said, we always reserve the possibility that things could change, may have been misrepresented or misinterpreted, or may be advertised differently when the device is released to market. Given the number of corroborating sources we have, we are also now retroactively upgrading our Sailfish specs post to a 9 out of 10 confidence as well. Unfortunately, we are not able to share direct evidence from our sources, both due to the sensitive nature of that evidence and the way in which it was relayed to us. Suffice it to say, we would not publish this information if we did not feel confident in the quality of that source. Here is what we know about one of two Nexus phones, codenamed "Marlin." At this time, we also believe we can confidently revise our Sailfish specifications to state that it also has an AMOLED display panel (though at 1080p resolution). Getting back to Marlin, let's talk about what you're seeing above. We believe that there will only be two storage models - 32 and 128GB, with no 64GB in between them. We also believe, though are not certain, that the same will be true of Sailfish's storage configuration. We have good reason to think that Sailfish and Marlin will likely have the same cameras, RAM, and CPUs as one another. At this time, we just aren't certain what that CPU is - be it a revised Snapdragon 820, or the rumored 821 or 823. There's simply not enough for us to go on right now. This paints a rather interesting picture: two Nexuses in two sizes, with the only real difference between the two being the size and resolution of display and battery capacity. This would align more with an iPhone / iPhone Plus sort of strategy, or if you like an Android analogy, a Sony Z and Z Compact strategy. Last year, the Nexus 5X was the clear second fiddle to the more powerful 6P. The new one-phone-two-sizes approach would make a lot of sense, though it's not clear what kind of impact on pricing this would have for the smaller model. After all, if the only difference is the display and battery, that's not a lot to work with on the bill of materials end of things. 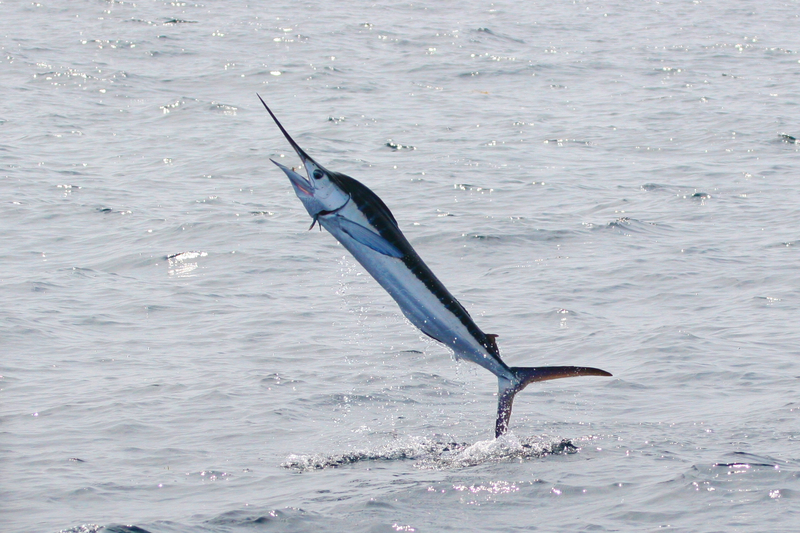 We also believe, at this time, that Sailfish and Marlin will share basically identical design language, with the only physical differences being those necessitated by proportion. Again: a lot like the iPhone / iPhone Plus. It remains unclear to us if these phones will feature any HTC branding. We're getting a much clearer picture of Google's 2016 Nexus strategy as the days and weeks go on. With Marlin's specifications on the table, as well as our strong belief that Marlin and Sailfish will be very, very similar in most regards, things are really starting to come into focus. Marlin may not be the spec-page monster that some fans have been clamoring for, of course. With just 4GB of RAM and a battery that, while large, isn't enormous, the top-tier Nexus is unlikely to have appeal to those who must have the best and most of everything in their smartphone. But what we are seeing looks respectable - and a lot of this will come down to pricing, which we really have no beat on at this point. Nexus season is in full force - we hope to share more cool things with you soon.